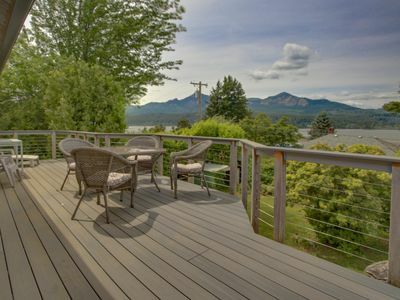 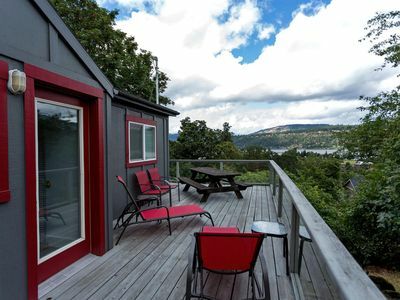 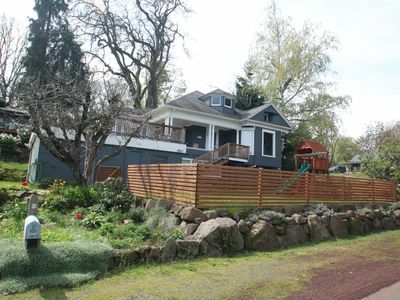 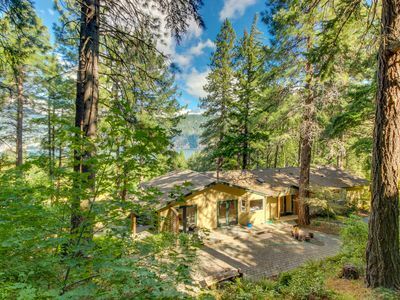 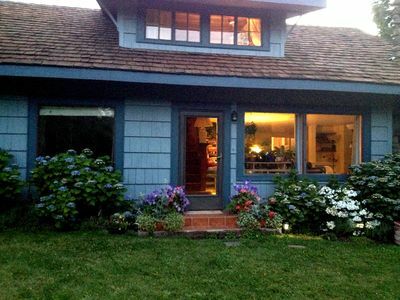 Dog-friendly home w/ gorgeous river views, a deck, patios, and a treehouse! 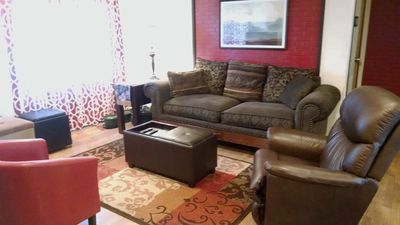 Large spacious home, close to town. 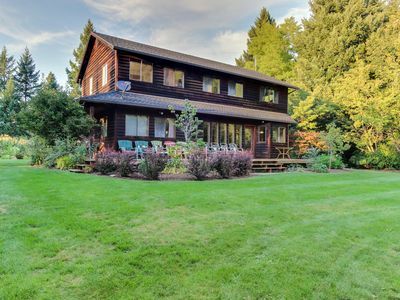 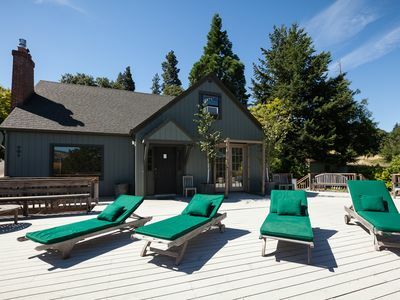 Dog-friendly, large deck, private hot tub, & creek access! 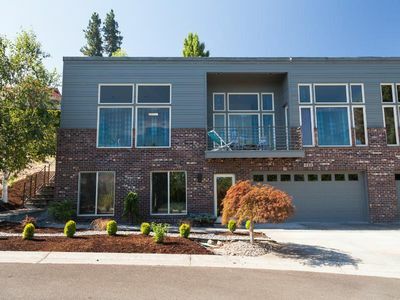 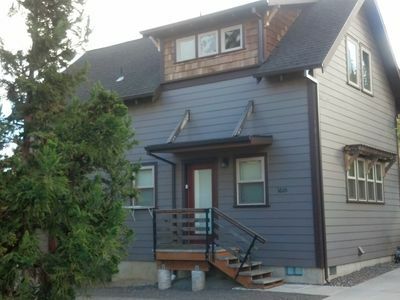 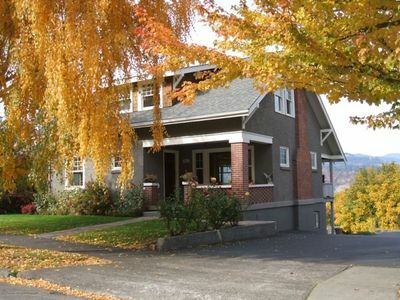 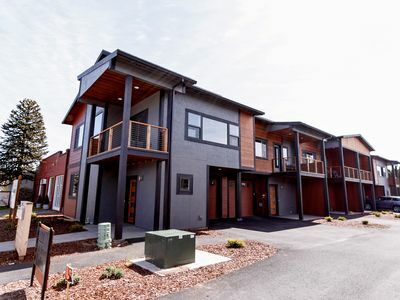 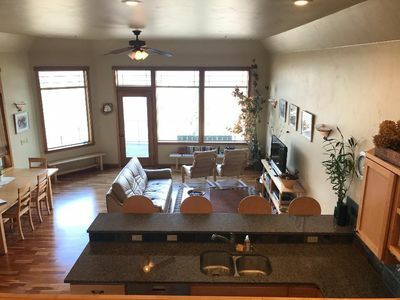 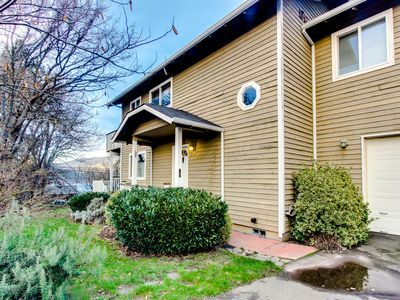 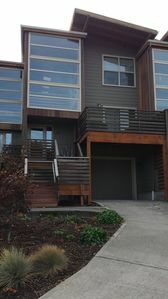 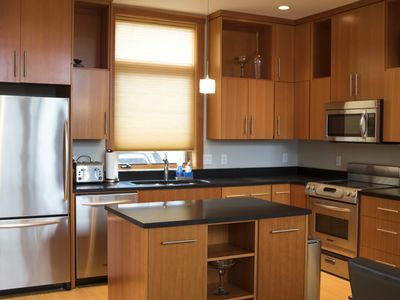 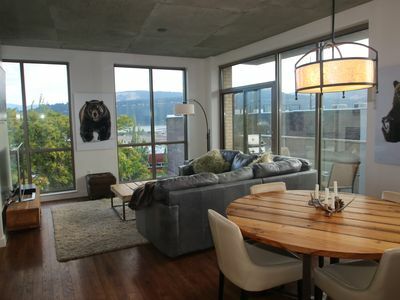 Great 2 bed, 2 bath Bungalow with an amazing view of the Columbia River!